I’ve spent several decades building, selling, and recommending various audio system designs. I’ve explored low powered and high powered systems. Low efficiency and high efficiency speakers. Vinyl compared to digital. I’m now working with only a few products that I personally use and believe in, and I have no interest in selling everything “under the sun” just to make money. Rather, I’m more concerned that my customers really benefit from the advice and highly focused products that I represent. I KNOW WHAT “LIVE” MUSIC SOUNDS LIKE! I’ve spent a number of years as a professional jazz piano player. I know what music sounds like when it’s “up on stage” right behind my head and next to my left and right ears. I intimately know the visceral experience rendered by musicians and I try to re-create that experience with my own audio system approach. I know what various instruments sound like and I use this experience to evaluate any audio system that I listen to. My musical playing style is improvised similar to what you would hear from Keith Jarrett playing a concert grand piano solo. I find myself going into a “trance” when I play like that and music comes through me from somewhere other than my mind. I consider this a highly heart based and emotion ladened experience and I’m able to get in that position because of the many years I’ve spent perfecting my playing ability so it can become automatic and I don’t need to thank about it one bit. I listen to the fine details in recorded music and expect to hear brushes on cymbals, the flesh on strings, the breath in a trumpet or flugelhorn, the huge volume and almost painful sound a saxophone player can render, vocals up close and “breathing” into a microphone, and numerous movements of the musicians and audience. It all counts in my opinion . . . but . . . at the same time, recorded music coming out of my audio system can’t be fatiguing or too bright and also must be 3 dimensional and real sounding. Trying to get recorded music to sound like this is a real challenge since when played through a really excellent audio system, it never can sound like real music – “live”. It can only come close and the key is for the listener to be captivated with an addictive sound quality that replaces the live performance. What I just described also needs to be affordable. A high quality audio playback system will easily cost between $5,000 to $15,000. It really doesn’t need to cost more than that and if it does, the system owner is probably more interested in listening to equipment rather than the actual music. Coming up with the audio system I recommend today has been a really difficult challenge and one that I tried to solve for myself through buying, selling, and building my own equipment. What I found is that speakers between 90db to 95db efficient sound best particularly if the crossover network is simple and easy to drive. Lower power amps also sound best (i.e. 10w/ch to 50 w/ch) particularly when the circuit doesn’t need to be “doubled up” to increase power. Single ended, class A, low powered amps are excellent but of course can’t easily drive most speakers so choosing a speaker that you like becomes a serious endeavour. You cannot exceed the limitations that each speaker design provides and instead, you must be happy with the good things that the chosen speakers can provide. The volume control in your system is a serious “brick wall” that prevents most of us from really enjoying the full quality of a recorded CD or record. There are a ton of observations and rules that I’ve gradually uncovered (common denominators in any system design) and my exploration, research, and development has been deep, extensive, and extremely expensive over the many years that I’ve been doing it. I truly am a musician looking for recorded music that can hold my attention and cause my emotions to soar. Anything that has listening fatigue (even to the slightest degree) does not interest me. Yes, I love detail but I don’t chase detail for it’s sake only. It must be presented in a full 3 dimensional format that is addictive and takes my brain out of the picture. Without a doubt, the most enjoyable DAC I've ever listened to is the Metrum Pavane. I had a level 1 Pavane in the photo at the top of this page and now am using a level 3 Pavane in my personal demo system. The Onyx/Jade is probably 95% of the sound quality (and for about 1/2 the price) and is a tremendous value! However, to obtain superb sound quality, I pair my own Aum Acoustics LDR based passive volume control with my Metrum Pavane DAC going direct to my AudioSector Patek SE power amplifier and I get a sound quality that is absolutely beautiful. An even higher quality approach would be to use a Linear Tube Audio ZM3 active preamplifier instead of the LDR based passive volume control. And the highest quality approach would be the LTA ZM3, Pavane Level3 DAC, and the Linear Tube Audio Ultralinear Power Amplifier. Each of these equipment combinations provides some of the best sound quality for the least amount of money spent and all are beautifully built. What I’ve eventually learned is how to put an audio system together that is easy to listen to, addictive, 3 dimensional, absolutely real sounding, and incredibly beautiful. What I’ve tried to avoid is spending money on things that don’t provide an acoustic or longevity benefit. Many of today’s high end components focus on spending HUGE amounts of money on the exotic design of the chassis that holds the circuits. That generates a tremendous unnecessary cost particularly with constant buying and selling of these expensive components. 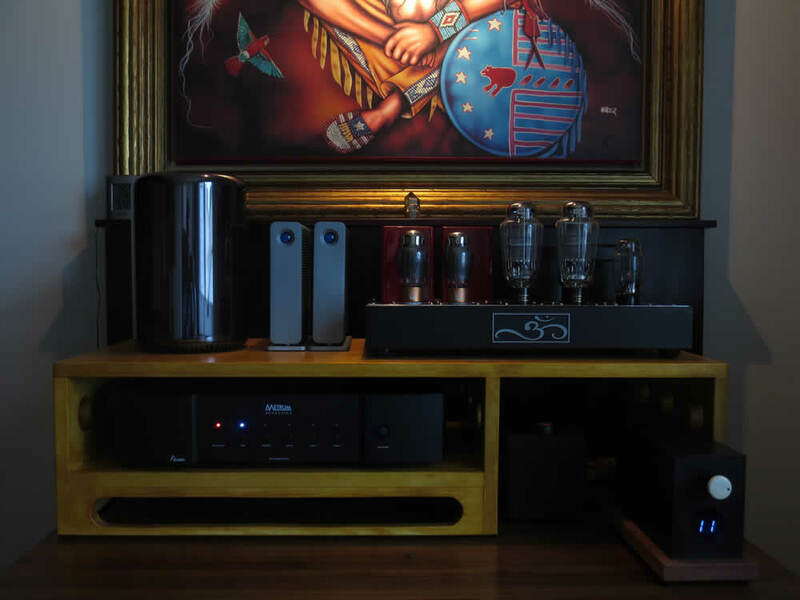 Many of the so called "high-end" audiophile components are expensive and this is primarily due to two major factors - the fancy cases that many consumers value and the retail markup. In addition there are also non-physical things that add to the cost like name recognition, status, and perceived value. Do it right and build your system appropriately. Circuit design is #1, simplicity is a goal for all parts of a system, and longevity counts but after the other 2 goals are accomplished. There are a ton of items you need to have in place before you should spend more money on exotic chassis design or middle man markups and how good a component looks. What it sounds like is most important. Fortunately, really good sounding equipment can be well built and when it is, you don’t need to worry about flimsy components. Spend your money wisely and you’ll benefit long term. I’ve abandoned listening to vinyl because of the high level of physical effort required to play a record. It’s the most uncomfortable and difficult medium to listen to. Up and down and moving around doesn’t interest me plus I rarely like all of the tracks on both sides of a record. I’m lucky if I find more than one or two tracks of interest. Rather, I want to create my own play lists and focus on single tracks and set them up for the type of mood I want to be in. The only way to do that is to listen to digital recordings using a really high quality digital analog converter (DAC). Also, the volume control solutions that I recommend (LDR based passive volume control or LTA ZOTL MZ3 active preamplifier) use RCA jacks and not XLR balanced connections. Because I prefer singled ended power amps, I’m not concerned about creating a balanced system. Balanced systems also require twice as many internal components and as a result cost considerably more than equal quality singled ended systems. With reasonable cables lengths, there isn’t much of an advantage for balanced over single ended designs. For me, RCA jacks and single ended simple designs rule. If you were in a recording studio, long cables would be used and hence the grounding that a balanced system can provide would become important. With home audio, however, it’s rarely needed. I like listening to music through my speakers and my headphone use is fairly limited. However, my favorite headphones (and the ones I own) are the Sennheiser HD800S. I use them when playing my piano keyboard controller into my iMac Pro computer with some of my favorite piano sampled software (Spectrasonics Keyscape or Bechstein for example). I no longer have the need for a separate headphone amplifier since I do use the Linear Tube Audio ZOTL MZ3 active preamplifier for both my speaker system and to power my Sennheiser HD800S headphone. Audirvana Music Player Software + Izotope Ozone 8 Mastering Software Plugin - every audio recording has been mastered differently. This software plugin allows you to re-master your music collection to help remove the deficiencies. Roon and other music player approaches don't allow you to do this.